For three decades, Glen Macnow has been an influential voice in Philadelphia sports, through newspapers, talk radio, television and books. As a fixture on WIP, a hard-nosed reporter and author of regional best-sellers, Macnow has been an integral observer of this city’s unique sports scene. He also hosts the Philadelphia Eagles official radio pre-game show, and has been a commentator on Phillies and Flyers broadcasts. He has hosted more than 7,000 shows on Philadelphia radio. Macnow grew up in Buffalo, N.Y., the son of an advertising executive and school teacher. He fell in love with athletics as a child and pulled his parents into becoming fans and season-ticket holders. After graduation from Boston University and a brief stint as a Congressional aide in Washington, he embarked on a newspaper career covering politics and education. Macnow was hired by the Philadelphia Inquirer in 1986 to launch a beat covering sports business. The tough assignment focused on issues of labor-and-management, drug use, media and court cases. At the same time, Macnow conceived the idea for a no-holds-barred TV show in which Philadelphia writers would argue topical issues. “The Great Sports Debate” ran on PRISM and later on Comcast SportsNet for eight years, and then revived for a two-year comeback in 2010. In 1993, Macnow joined several of his old Inquirer colleagues at 610-WIP (now 94-WIP), helping to build one of America’s top sports radio stations. These days, Macnow’s weekend morning shows with Ray Didinger are among the most popular at the station, bringing a sense of fun and sensibility to a crazed market of sports fans. In Macnow’s approach to sports talk, he discusses, listens and entertains. He has written five books for adults and 15 for children. 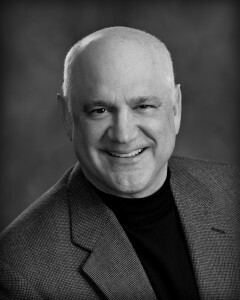 Macnow spent six years as a journalism instructor at St. Joseph’s University. He is part-owner of the Conshohocken Brewing Co., and he has been active in charities benefiting Alzheimer’s research, and the Movember Foundation, which raises money for men’s health issues.